As well as attracting much attention when exhibited at various events including the 45th Tokyo Motor Show 2017, the MOTOROiD had previously received the Gold prize at the “International Design Excellence Awards (IDEA)” and the Luminary award at the “Red Dot Award: Design Concept 2018.” By also receiving the iF Design Award, the MOTOROiD has been recognized by all of the global top three design competitions. 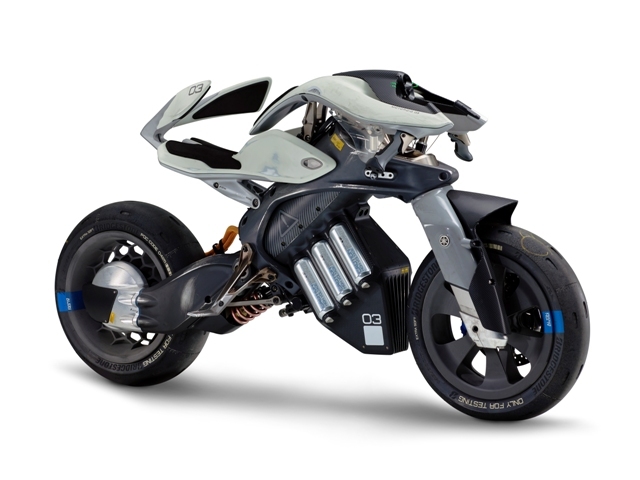 The MOTOROiD concept model aims to demonstrate personal mobility in which the rider resonates harmoniously with the machine. 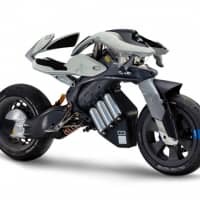 Equipped with high-precision balance control via artificial intelligence and autonomous technology, the MOTOROiD can sense its own state and adjust its center of gravity accordingly to stand up off its kickstand and remain upright unassisted. It can also recognize its owner and move forward to meet him/her, as well as react based on its rider’s actions thanks to its human-machine interface (HMI). MOTOROiD inspires a vision of future mobility that takes vehicles beyond simple “tools for movement.” However, the exterior is deliberately far from flashy. The frame retains clear traces of the cuts made to create it, the body is marked with unvarnished scars here and there, and the tires are worn to the point that even the tread grooves are nearly gone. The designers and engineers wanted to show the public what their repeated creative clashes gave birth to in unaltered form. The highest-output model in the Yamaha lineup, the F425A is powered by a 4-stroke 5,559cm3 V8 engine which delivers a maximum of 425 horsepower. 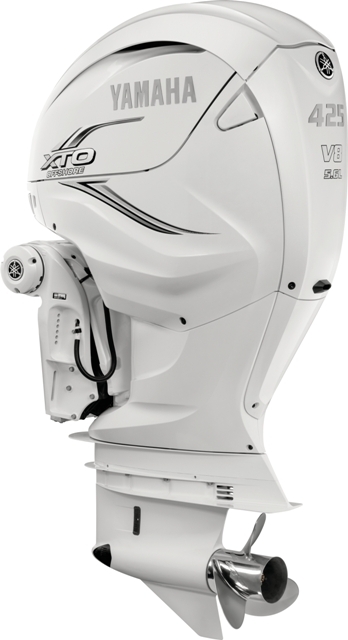 This power unit features the first application in a 4-stroke outboard motor of direct injection technology, which sprays fuel at high pressure and high precision directly into each combustion chamber, rather than the intake track. The F425A provides boats with the ultimate in acceleration and top-speed performance. 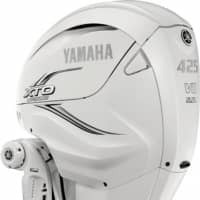 In addition, while continuing the tradition of expressing the unique style of Yamaha in a classic outboard motor outline, the fresh new exterior design introduces a distinctive and dynamic form befitting a next-generation outboard, enhancing the appearance of the boat it is mounted on. * The iF Design Award is a design award organized by the iF International Forum Design, the world’s longest-established independent design organization based in Hannover, Germany. Every year since 1953, superior designs are selected from industrial products etc. from around the world.